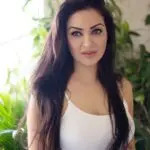 Ask the average subway-riding woman what her number one public transportation pet peeve is and chances are good she’ll say, “Men taking up too much room because they seem to think they’ve got watermelons for testicles” or something to that effect. Yes, men who sit with their legs spread wide like they’re holding a yoga ball between their knees are everywhere. Including Westeros! I was clicking around a new Tumblr blog called Men Taking Up Too Much Space On The Train and stumbled upon this familiar face — it’s Robb Stark from “Game of Thrones”! 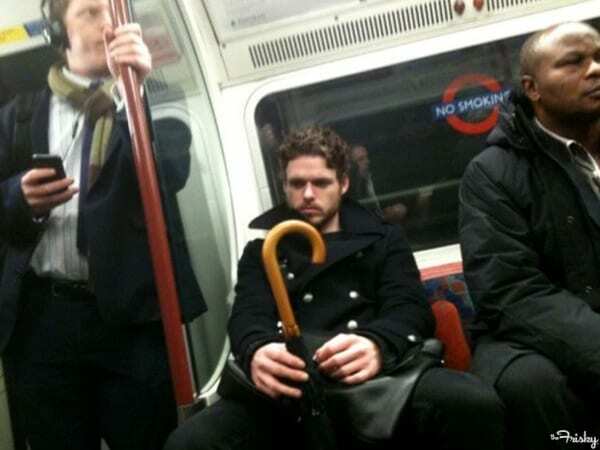 Just look at actor Richard Madden sitting on the London tube like its the Iron Throne, his mighty manhood requiring so much excess room that the person to his left is seemingly forced to sit on the edge of his seat. Please. Everyone knows it’s little sister Arya who has the biggest balls in the Stark family.